If you cast your minds back to last year, you may remember a little feature introduced by Google-owned YouTube, which allowed users to effortlessly convert standard videos to 3D. Today, the beta implementation has been given a little update, and every "short form" 1080p video uploaded to the world’s most popular viral video site will automatically be converted to 3D, yes, 3D. Those wishing to watch videos in three dimensions can now do so by playing around with the options in the quality menu, its that simple. The conversion process is also explained by YouTube in relative detail. The process involves machine learning based on the increasing inventory of true 3D videos on YouTube. It analyses color, spatial layout, motion, and other video traits in order to surmise the depth map for each frame of your 1080p video. There’s no doubt that a 3D TV does have a place in the market, but it remains to be seen whether it catches on in the same fashion as high-definition TVs did. Personally, I see a 3D TV as a novelty and can easily cope with HD again after watching a movie or sports event in 3D. The gulf between High-Def and Standard-Def is, in my opinion, much more significant, making 3D an even harder sell. That said, like with most new technologies, once the pricing reduces and compatibility – especially regarding the glasses – improves, 3D could certainly become the norm. A 3D TV currently costs at least double that of a decent HDTV, making the decision rather easy for most consumers. Then again, YouTube is viewed by billions, so implementations such as this will no doubt play a significant part in the eventual fate of 3D. 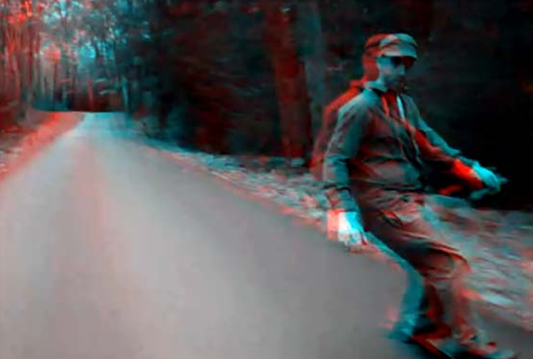 Will you be slipping on your 3D glasses and kicking back to some YouTube content? Or are you more inclined to settle with 1080p HD? I’m inclined to think most of you are happy enough with HD at this present moment, and, like me, see 3D as a novelty, but please share with us your thoughts and opinions via the usual mediums below, on our Facebook and Google+ pages.